This is only my second blog post this year! It is safe to say that I have been neglecting my blogging duties! 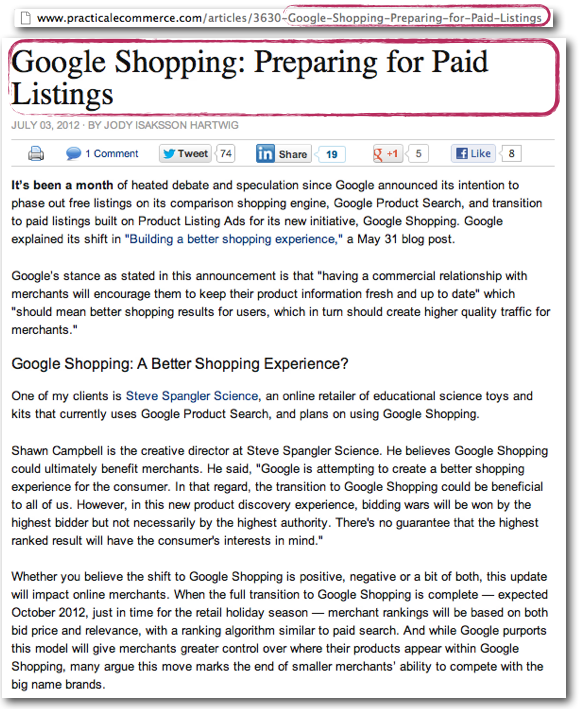 Like most of you I used to place a lot of attention on driving organic traffic through head terms (e.g. black chair) whilst thinking about the long tail traffic (e.g. black dining room chair) those head terms may drive. The SEO industry is ever changing and placing a lot of emphasis on a few head terms won’t help your long term SEO strategy as much as it used to……. Enter my easy guide that you can use to identify and capture more traffic on terms you are already ranking for! 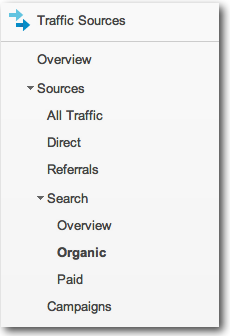 Log into your Google Analytics account and go to the ‘Organic Traffic’ section. Run the date range for around three months to see a good level of traffic per keyword. Scroll down a bit until you can see the ‘Advanced’ filter around the middle of the page and click on the ‘Advanced’ link. In the filter that appears (below) you will want to exclude your brand name so that you can only see generic terms. Below you will see that I entered the term ‘sleeping’. This is so that we can filter out as many variables that may apply to the brand name. When you have done this you should see a list of keywords that are all generic. 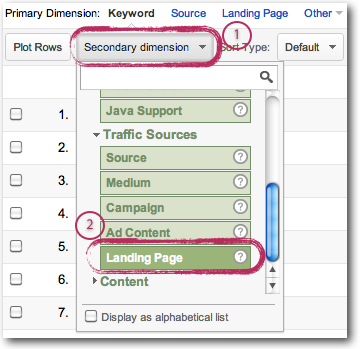 Next you will want to see the URLs that are ranking for those keywords by adding a second dimension. Click on the ‘Secondary Dimensions’ tab above the keywords and select ‘Landing Page’ under ‘Traffic Sources’. 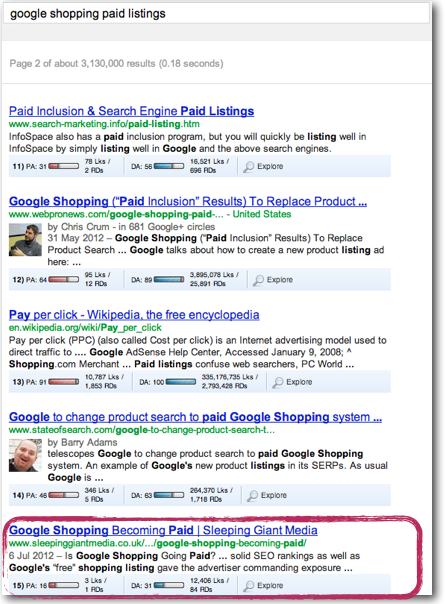 This will show you the pages that appear when users search for those keywords. 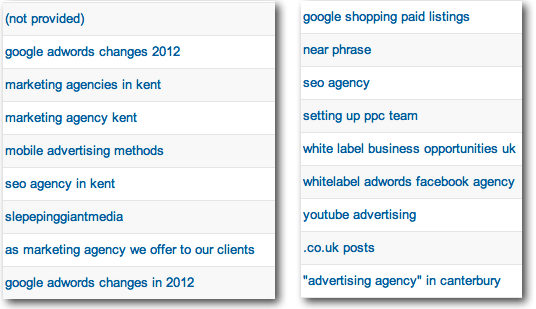 The landing pages your visitors hit when searching for those terms should now appear on the right hand side. If you see a “/” this means your visitors are hitting the home page. So now you know the terms that are getting traffic and where your visitors are entering your website, we need to find out where we are ranking for these keywords. 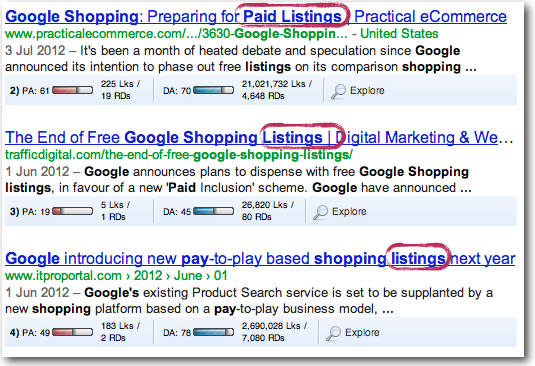 Let’s pick an example from our search terms: ‘google shopping paid listings’. Go to www.google.co.uk and perform a ‘de-personalised’ search. This will ensure Google doesn’t take any previous searches you have made into consideration when returning search results to you. Now that we have performed a de-personalised search for the term ‘google shopping paid listings’ we can see that we are ranking in position 15 on page two on Google. See here. In order to identify where we can make ranking improvements for this page and keyword we need to look at the returned page and the competitor pages to figure out how we can optimise the page to help it rank in a better position. Ideally on page one :). The image below is a screenshot of the top three search results. They all share a similar attribute in their page titles. The all have the word ‘listings’ in it. Lets take a look at one of the pages ranking on page one and see what they are doing. 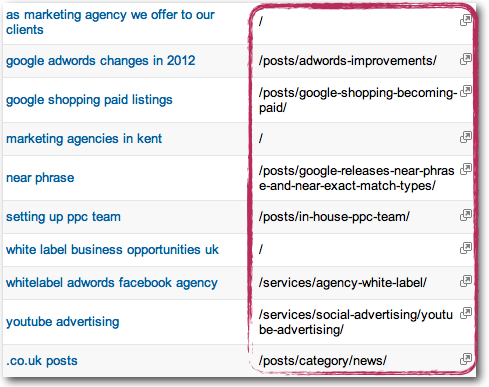 In this example we can see that their H1 Tag, Content and URL has the necessary keyword in it. So how is our page fairing up against the keyword that it’s ranking for? Let’s have a look. 1. We could edit our H1, H2, and H3 tags to reflect the keyword and close variations. 2. 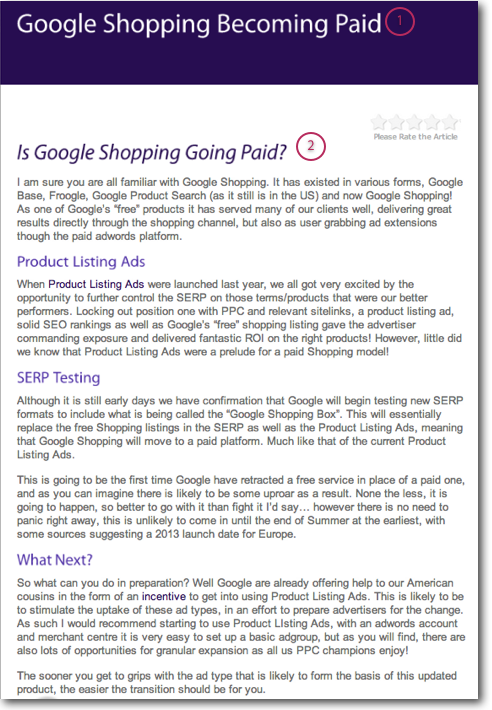 The content already talks about paid Google listings so does not need amending. This however will require a 301 redirect in order to keep any equity that the page has built up and pass it onto the new page. This is easy to do on sites with WordPress, Magento and other popular CMS platforms using a 301 plug in. Other sites may require a 301 redirect using an .htaccessfile. Writing content and making sure it ranks for a keyword isn’t always an easy task. One of my colleagues wrote a very useful article on how to write a good SEO page which you can access here. Right thats it! Implement these changes to your own pages that rank for mid to long keywords and you will hopefully see ranking improvements. But don’t just implement and leave these pages, make a note to check their positions periodically for positive, and in rare occasions, negative impacts your changes have made. Test and refine your approach as you go along.